It’s not too often that a pair of entrepreneurs walk into CBC’s Dragons’ Den, impressing all five dragons. 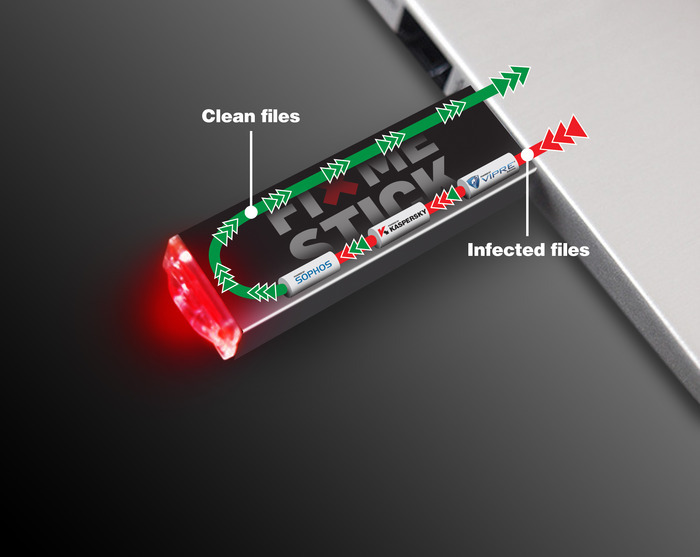 But that’s what happened last night on the show when Montrealers Marty Algire and Corey Velan showcased their FixMeStick, a usb stick that wipes computers free of viruses. The FixMeStick “works while your computer is off” as Velan explained to the dragons, working while viruses are also “off”. It reboots the computer and works while Windows and Mac systems aren’t actually running. Algire and Velan asked the dragons for $500,000 for 20 percent of the company on a valuation of $2.5 million. It impressed all five dragons, but not before Kevin O’Leary raised the point that all the other virus fighting software companies distribute through a simple download, whereas FixMeStick needs to distribute a physical product in the sticks. “The distribution is not beautiful, maybe the solution is, so you have to get this in the hands of the people who want to use it,” O’Leary said of FixMeStick. Marketing and distribution then is likely why the pair came on the show, besides the obvious pr value. The pair ended up going with David Chilton and Arlene Dickinson’s group offer for exactly what they asked for. Both Bruce Croxon and Jim Treliving also made the same offer while O’Leary offered to take $500,000 debt on 9.5 percent interest, but the guys would have kept all their equity. Knowing that too many pitchers perish in the ‘den from overly greedy valuations, I also wondered whether the pair put some thought into that. After all, there’s no better way to get O’Leary fuming mad at you than claiming your company is worth $5 million. In 2014 Algire and Velan are anticipating $1.2 million in sales (roughly $900,000 in profit) and they’ve already started to target the Mac market, one that Algire said is growing everyday given the similarly growing amount of new mac viruses. 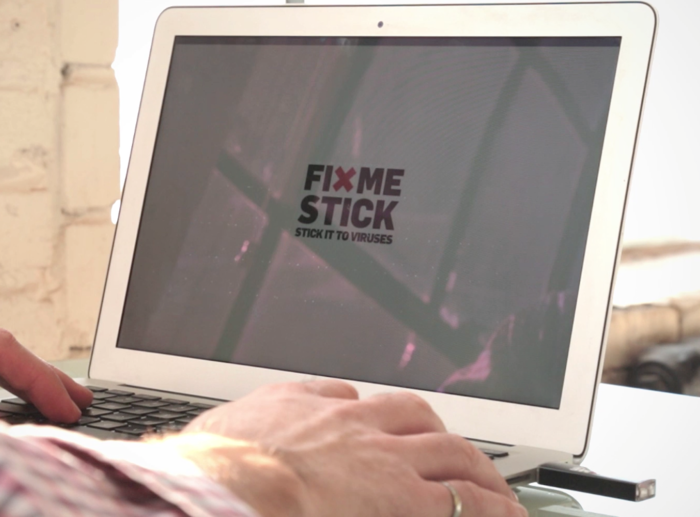 Fixmestick has launched a Kickstarter campaign this morning for its Fixmestick for Mac. Thus far it has raised $3,300 out of a $500,000 ask. Update: FixMeStick, with 3 days to go, is on the cusp of reaching their crowdfunding goal on Kickstarter. The company wants to hit the $50,000 mark and are currently sitting at about $42k. When they hit the goal they will begin developing a Mac version.